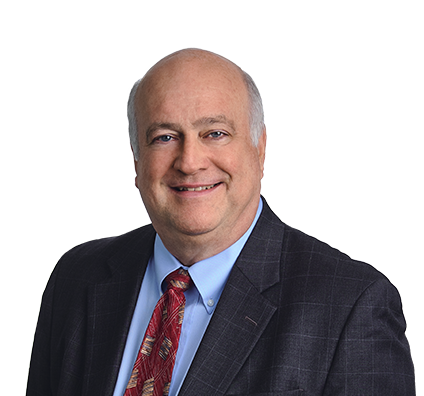 Rick brings more than three decades of experience in environmental issues, particularly surface and groundwater and the remediation of contaminated properties, to Husch Blackwell. He has the unique ability to handle client matters in any of the three branches of government – the courts, administrative agencies or legislatures. Rick has defended state and federal enforcement actions, including citizens’ suits, and federal criminal enforcements. He’s handled cases dealing with water permitting, solid and hazardous waste regulation, Superfund cost recovery, groundwater protection, site remediation projects, PCB remediation, pesticide regulation, Wisconsin Statutes Chapter 30 permits (piers, other structures and waterfront development) and wetlands. Counseling large manufacturers during EPA compliance audits. Successfully defending a rural Wisconsin county in a CERCLA (Superfund) contribution action brought by the owner of a former manufactured gas plant operation against the county, city and other defendants. Negotiating environmental permits and litigated challenges to unreasonable permit conditions for businesses. Defended regulated companies in enforcement cases brought by state and federal environmental authorities. Tried “contested case” (administrative) proceedings before the Wisconsin Division of Hearings and Appeals and the Public Service Commission of Wisconsin. Tried cases (motion practice and bench trials) in federal court and in state circuit courts in a variety of Wisconsin counties. Successfully defended a rural Wisconsin county in a CERCLA (Superfund) contribution action brought by the owner of a former manufactured gas plant operation against the county, city and other defendants. After a nearly two-week bench trial, the U.S. District Court for the Western District of Wisconsin found that the county had done nothing to incur liability under Superfund and completely dismissed the owner’s claims against the county. Total remediation costs for the site are estimated to exceed $150 million. Represented business interests in the development of legislation and administrative rule-making involving the Clean Water Act, solid and hazardous waste disposal, groundwater protection,wetlands use and protection, and response and remediation of hazardous substance spills. Counseled large manufacturers during EPA compliance audits. Handled cost allocation disputes between buyers and sellers of manufacturing property. Negotiated various environmental permits and litigated challenges to unreasonable permit conditions for businesses. Maintained a government relations practice and advises clients on public official ethics, campaign finance and lobby law compliance.